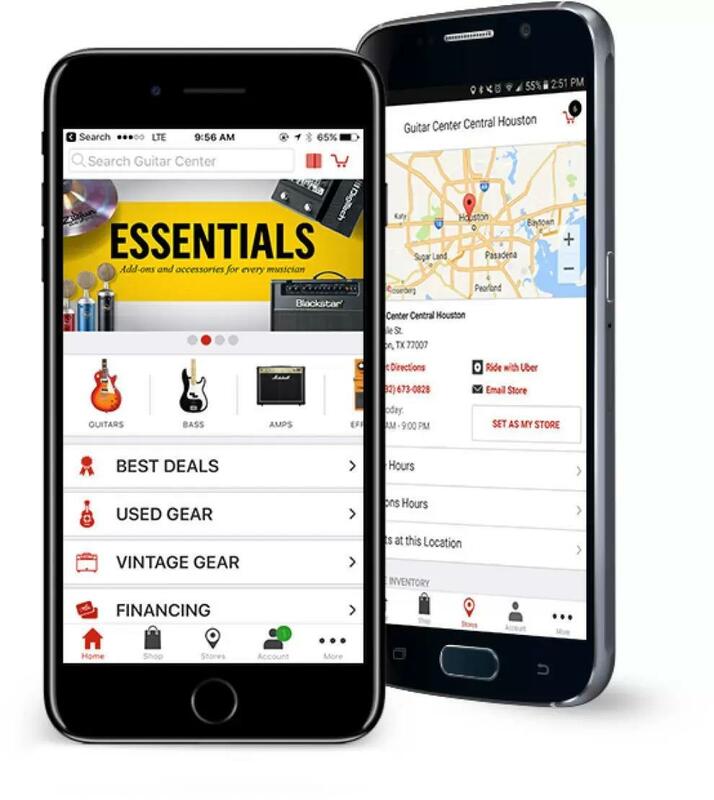 Whether you're an intricate jazz guitarist, a metal drummer, aspiring producer or gigging bassist, your needs will be fully taken care of at Guitar Center Pittsburgh. Not only do we offer the most well-known instrument and equipment brands, but our massive used gear section is always changing, and very often full of classic amps and rare axes. Speaking of used equipment, we also buy and trade, so feel free to bring something in, and we'll gladly take a look at it and possibly make you an offer. We also hold free recording workshops each Saturday morning where you'll learn the joy of laying down your own tracks, so give us a call and sign up. We can easily be reached at 412-788-1071. Our private lessons in guitar, bass, keyboards, and drums are available in 30 and 60-minute sessions with flexible scheduling, so you can progress at your own pace. Maybe you'd rather be the instrument - in that case, come learn more about our singing lessons. And those are only scratching the surface of the unique services at Guitar Center Lessons in Pittsburgh, which also include jam sessions, recording lessons, group lessons and more. Want to know what it's like to be in a band? Ask us about our Rock Show program, which connects you with other musicians at your skill level to get the full experience. Guitar Center Pittsburgh provides comprehensive guitar repair services for the Pittsburgh area. Our repair technicians are as passionate about your guitars and basses as you are, and we have the experience needed to keep them performing at their best. Whether you need a quick adjustment to make your guitar easier to play, or a complete guitar rebuild, we have the tools and know-how to take care of your instrument. Guitar Center Pittsburgh can also help build a maintenance plan that fits you and your guitar or bass needs, including custom setups, restrings and more. We also take care of fret repairs, hardware and pickup installations, upgrades and customizations, bone and graphite services and more. An incredible range of musical instruments and a diverse, enthusiastic team of experts can always be found at Guitar Center Pittsburgh. Located at 1020 Park Manor Blvd in Robinson (in the plaza across from Ikea and behind Starbucks), we're proud to offer an ever-growing inventory of the coolest and newest gear currently on the market. In fact, most of our crew are members of local bands with internationally-released CDs. Additionally, our staff includes active DJs, recording engineers, and live sound techs, so you won't have any problem finding someone to point you in the right direction while you're shopping.First and foremost at Guitar Center Pittsburgh, we strive to give you the experience that Guitar Center is known for nationwide: big-store selection and prices with small-shop expertise and personality. From sales and repairs to workshops and rentals, our staff in every department is well-trained to cater to Allegheny County music-lovers. Our store is open every day of the week, so there's always a right time to visit even if you're on a busy schedule.